Java is an incredibly useful language to learn. It is highly portable, fast and efficient, and the structure of the language means that it is easy for beginners to learn. In addition, Java is popular in the world of open source application development, so experienced developers who understand the language will have no difficulty finding employment. Learning to program can be difficult at first, and transferring from a procedural language to an object oriented language can take some time to get used to. A good Java programming ebook will help you to get over the initial confusion and start making useful, interesting and impressive applications. Every Java developer should have a copy of Sun's "The Java Language Specification" in their library. 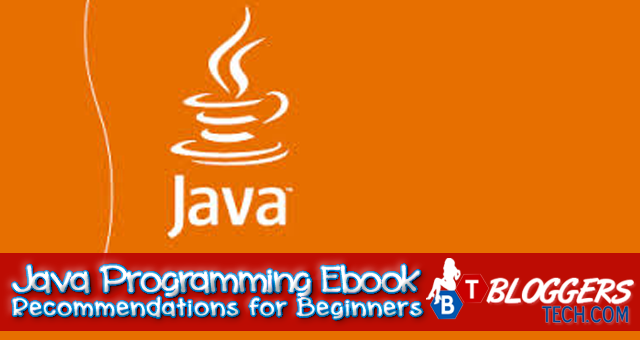 This Java programming ebook is a little dry, because it is, as the name suggests, simply a detailed breakdown of the specification of the Java language. This is not a good book to use for learning Java from scratch, however it will prove invaluable when you want to learn more about the details of a specific function or variable type. When it comes to learning Java, beginners should take a look at the latest edition of "The Java Tutorial", published by Oracle. This book offers a short course which gives would-be developers an overview of the Java language. There are lots of hands-on tutorials, and this book will get you up-and-running with the Java language in no time. "How to Program with Java " by Trevor Page is among the Java ebook I can recommend to everyone. His book is aim for beginners and non-techie people who would like to learn Java programming. The author himself is a Java guru and currently working as a senior software engineer. So if you're a beginner, non-techie, then no sweat! Trevor's ebook will be just your fit. I believe he also have a Java Video Tutorials website, where you'll be able to learn Java through his video tutorials which is ideal for people like me, for people who are more on visuals plus he has a forum along with it - which is pretty cool! If you already have some programming experience and would simply like to transfer that experience to Java, then "Thinking in Java (4th Edition) " by Bruce Eckel is a good choice. The third edition of the book has been released as a free ebook, but if you want the latest edition which has been updated for newer versions of the Java SDK then you will have to purchase it.
" by Joshua Bloch. This book is a Java master class aimed at people who want to learn about the programming language in great depth. If you are past the "Hello World" stage of learning how to program, and want to learn about coding best practices, and how to write robust, bug-free code that offers the best possible performance, then this is a good book to choose. Ideally, you should learn to program by reading several different Java programming ebooks or books and writing your own code. Programming is both an art and a science, and there are many different naming conventions, programming methodologies, and even ways of structuring your comments. When you are coding with a team, you should use the approach that the team has decided upon, but for your own projects you should choose the coding techniques and systems that you like the most. Reading as many books as possible will ensure that you get exposure to several different methodologies, and are in a better position to decide which ones you do and do not like.